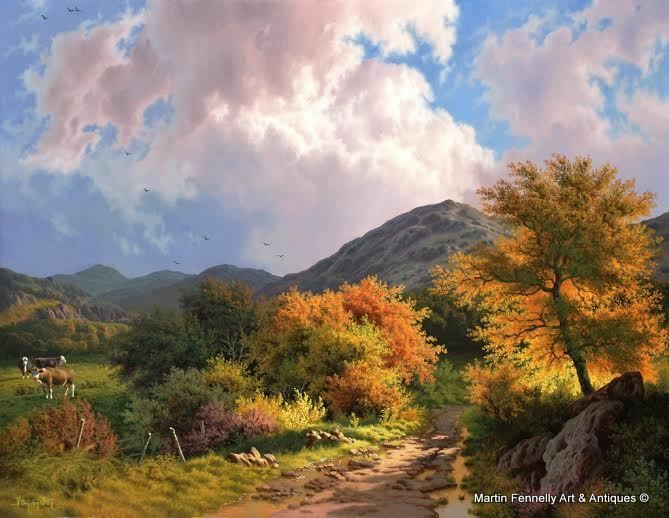 This Painting "Passing Clouds, Garranes" by Daniel Van der Putten of some of Europe's most Stunning scenery depicts a moment in Co. Kerry and is a beautiful Painting by one of the World's most famous Artists. Van der Putten is Dutch born but resides and paints in the UK. Exhibited only in the finest Galleries, it is a great honor to have a Van Der Putten in my Gallery . This Painting "Passing Clouds, Garranes" Co Kerry shows how Van der Putten's majestic brush work captures with consummate finesse this peaceful rural scene in the stunning Irish Contryside. I always love to have Irish Art or Irish Artists in my Gallery and this Painting is a magical view if Ireland.